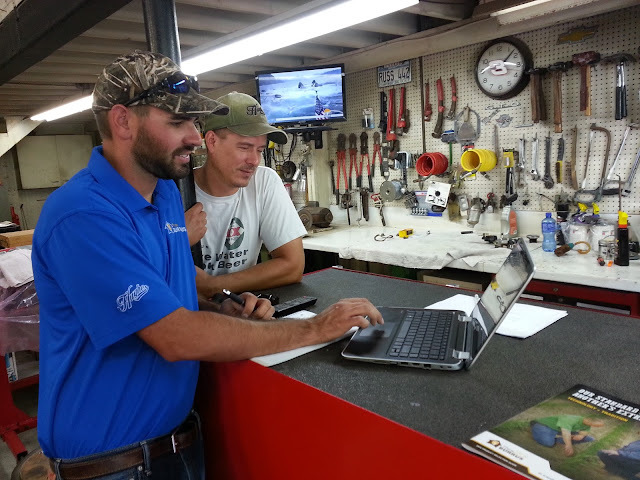 Hughes Dealer, Aaron Rice developing a crop plan for Ottens Farms 2016 Burrus/Huges product order using the COP system in MyFarms℠ . How can you qualify for the Burrus/Hughes MyFarms℠ Early Order Discount Opporunity? 1. Grower must develop a cropping plan for their entire expected Burrus/Hughes order using the COP system in MyFarms℠. 2. After completing a cropping plan, the grower must inform the area Account Manager by sending an electronic version of the cropping plan to the respective Account Manager so they may keep them on file to help answer any questions in the future. 3. The grower must then place an order for their 2016 seed needs based on the cropping plan by 9-10-15. The Account Manager will sign off on a certificate of completion that indicates the grower has qualified for the early order discount of $5/unit of corn and $.25/unit of soybeans by completing a cropping plan through the COP system on MyFarms℠ and then placing an order by 9-10-15. Note: Discount will be given on all qualifying units as indicated by the certificate of completion and final discount will be administered at the completion of the 2016 planting season in each respective area and based on final usage. This is a company sponsored program and all customers and dealers are eligible to qualify.